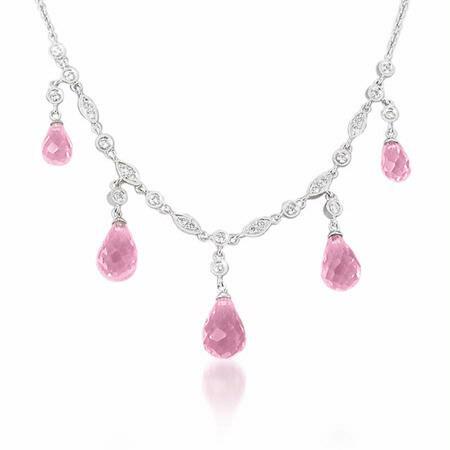 This wonderful antique style 18k white gold necklace, contains 5 pink quartz honeycomb drops of exquisite color and round brilliant cut white diamonds, bezel & pave set, of F color, VS2 clarity and excellent cut and brilliance weighing .58 carats total. This necklace contains caviar beading, creating an antique style effect. This necklace measures approximately 17 inches in length.